J.D. Scott has been the organizing member of Abba’s Writers in Phoenix, Arizona, for the past three years. She leads, organizes, and teaches both critiquing and story development to its 50+ members. She is also a participating member of West Valley Writers Group in Avondale, Arizona. In February of 2013, J.D. Scott accepted the invitation to become part of the team at A Book’s Mind as a publishing consultant. She thoroughly enjoys working alongside writers, helping them fulfill their dreams of becoming published authors. 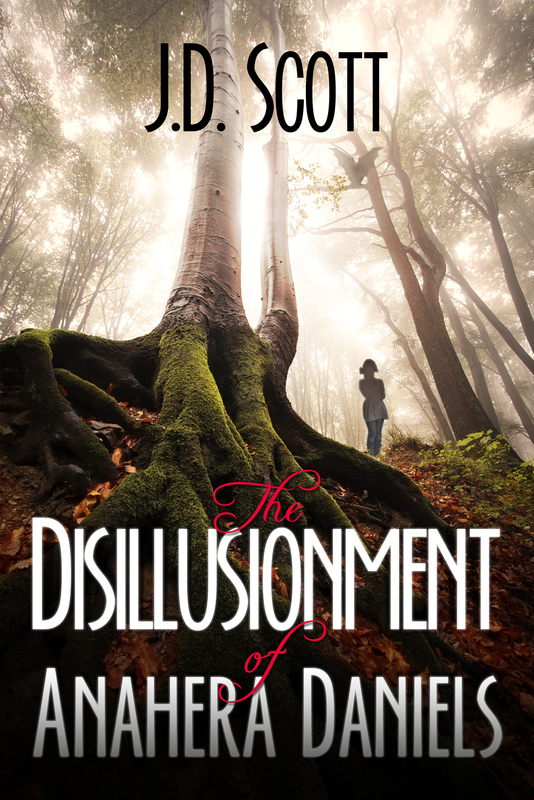 The Disillusionment of Anahera Daniels was released in 2013, and the second book in the Anahera Daniels series will be released in the fall of 2014. What’s J.D. Scott’s book about? On Anahera Daniels’ 18th birthday, she wakes from a disturbing nightmare, only to walk into another. After overhearing life-shattering news that her parents aren’t who she thought they were—she questions her place among family, friends, and in the heart of Nathan, her high school crush. Ana’s life splinters into two realities when strange dreams develop into a newfound ability to travel between Earth and the world of Posternis. A world away, Ana finds herself wounded, and fleeing from a dark-winged creature when she collides into Adrian, an attractive Posternis native. Accepting the help of his outstretched hand, she unknowingly binds their fates together. Ana’s fierce determination drives her search to unravel the mystery of her biological parents, and their connection with the Cozen, the gargoyle-like creatures seemingly bent on her destruction. Tell J.D. you heard about her on editingaddict.com!